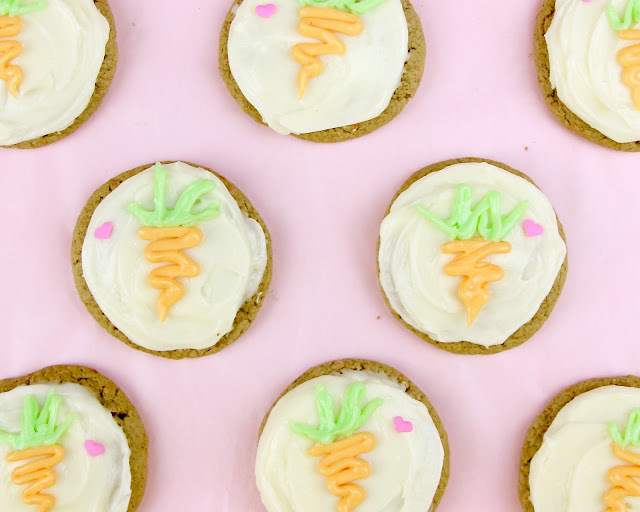 Carrot cake cookies made with a box of cake mix and an easy homemade cream cheese frosting, for the ultimate spin on classic spring-time favorite. 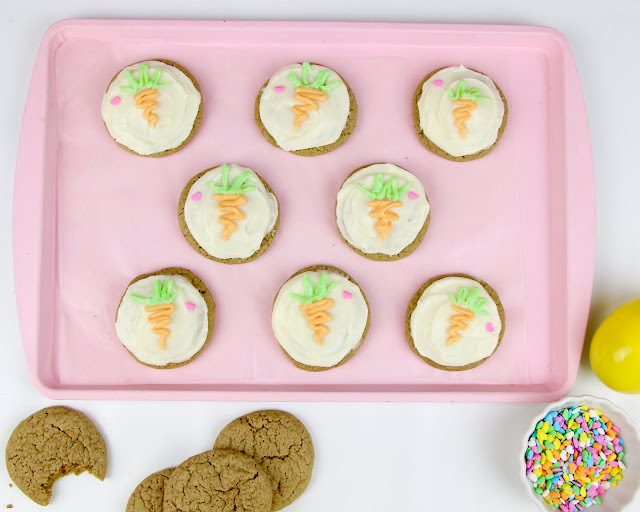 These cookies are everything you love about a slice of carrot cake, but in cookie form! They are soft, moist and chewy with the most amazing cream cheese frosting smothered on top. 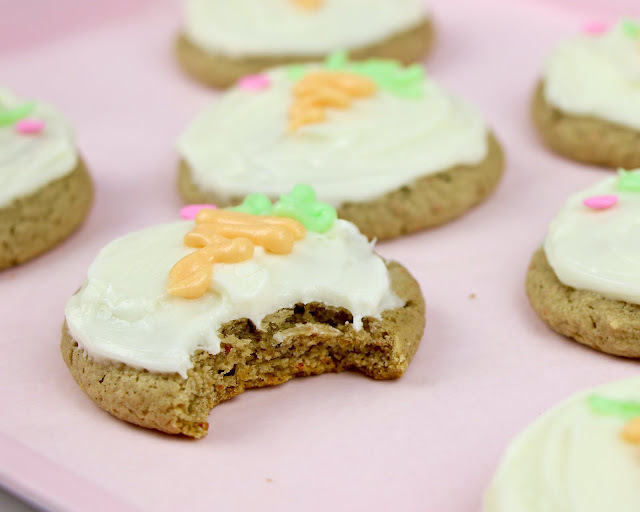 These cookies are virtually fool proof, because they start with a box of cake mix, but magically transform into moist, chewy cookies! Just add in some eggs, oil to keep them extra moist and chewy and a little extra cinnamon for flavor, for the easiest, gourmet cookie ever! They are so fun and impressive and no one will have any idea that you used a cake mix to make these! 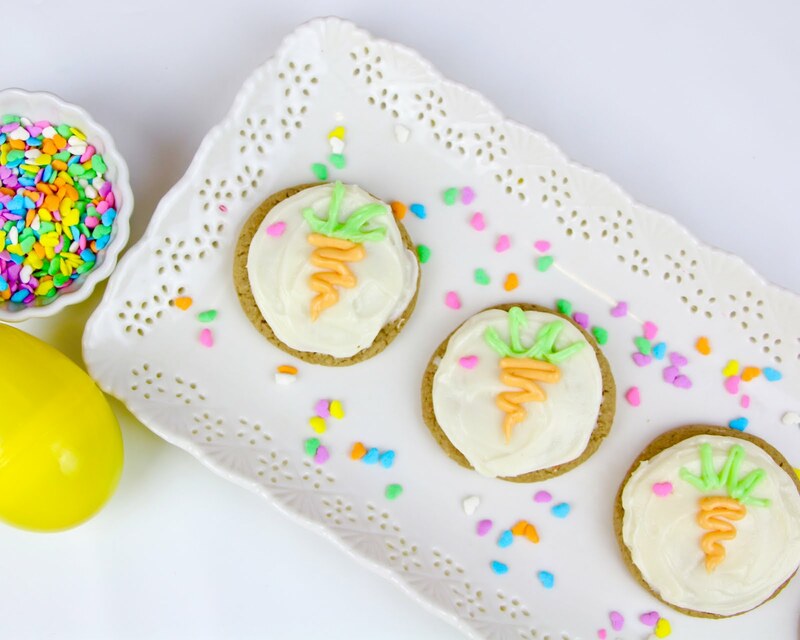 I piped on a little carrot on top, but you can decorate these however you like. They would be perfect for Easter or a Spring time gathering. The dough comes out a little sticky, so I like to pop the dough balls in the fridge before baking, so they don't spread too much and the dough can firm up a bit. 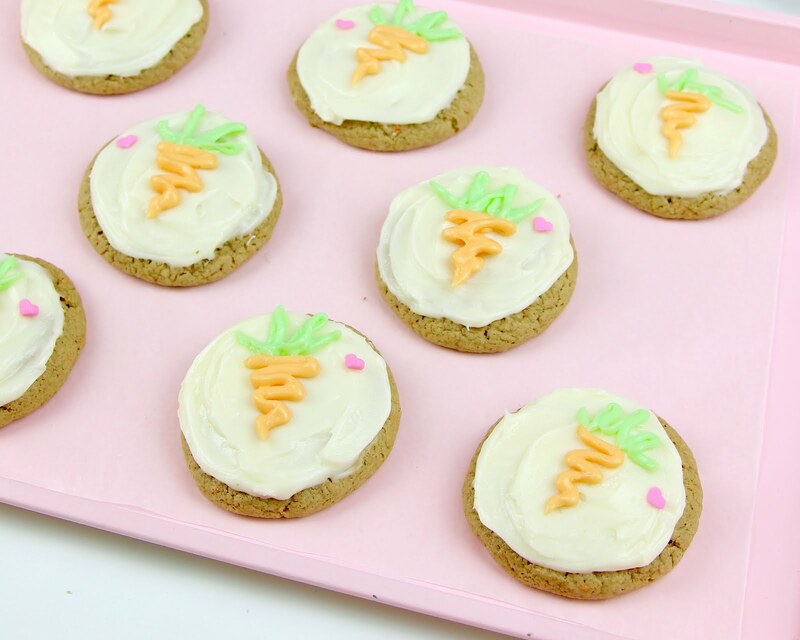 Then, once you bake them, they puff up into perfect, puffy little cookies, that look like adorable little mini carrot cake rounds. 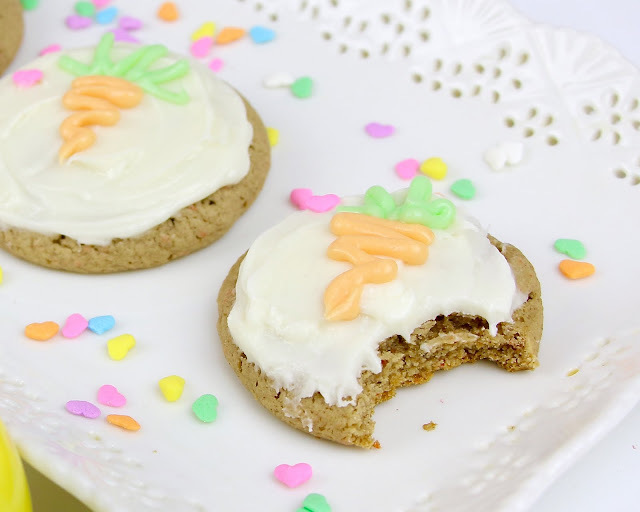 I paired them with a homemade cream cheese frosting, because it is my absolute favorite and totally transforms this box mix dessert into a totally gourmet treat, but you can definitely use store bought if you need. 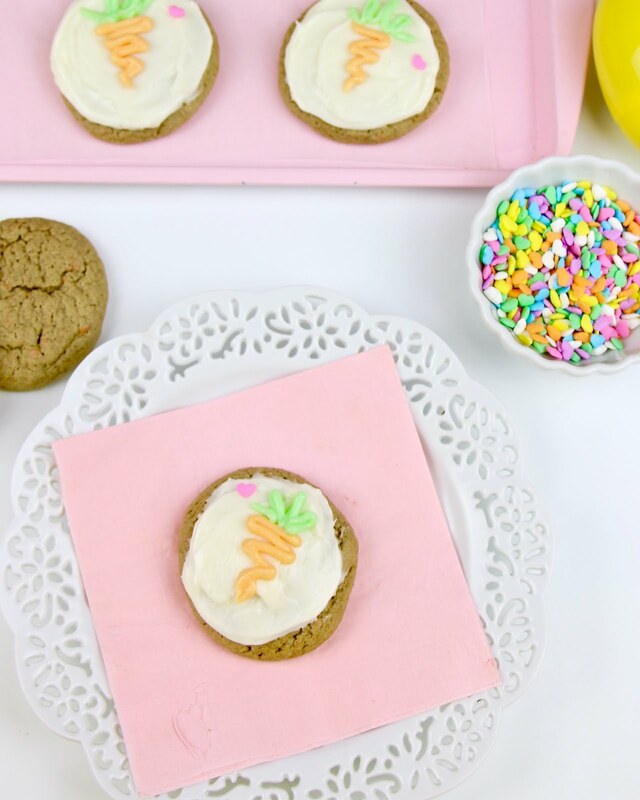 These are perfect for Easter or a fun weekend treat that is quick and easy to whip together. It's also great for baking with kids, because these cookies are almost impossible to mess up and you can customize them however you like! In a mixing bowl, beat together the cake mix, cinnamon, oil and eggs until combined. Mix in nuts or raisins if desired. Scoop dough, about 2 tablespoons each, onto the prepared baking sheet, at least 2 inches apart. Refrigerate dough for about 1 hour to firm up. Once firm, shape dough balls and flatten slightly. Bake in preheated oven for about 9-11 minutes, or just until the cookies are set around the edges. Let cookies cool on baking sheet for 2-3 minutes before transferring to a wire rack, to cool completely. Set aside about 1/2 cup frosting and tint 2/3 orange and 1/3 green, for decorating and place into ziplock sandwich bags. 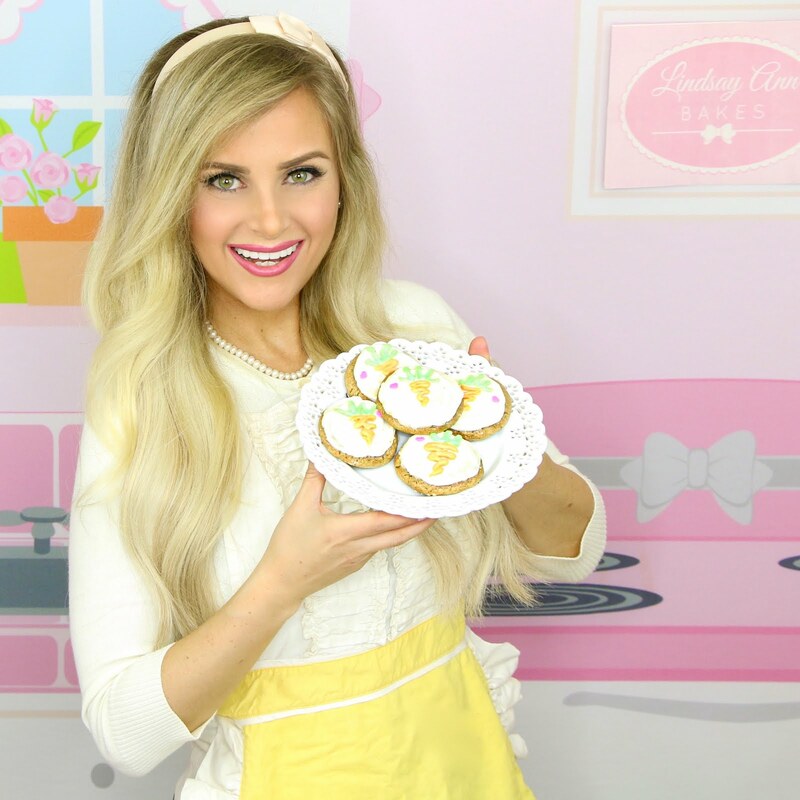 Frost each cookie with remaining frosting. 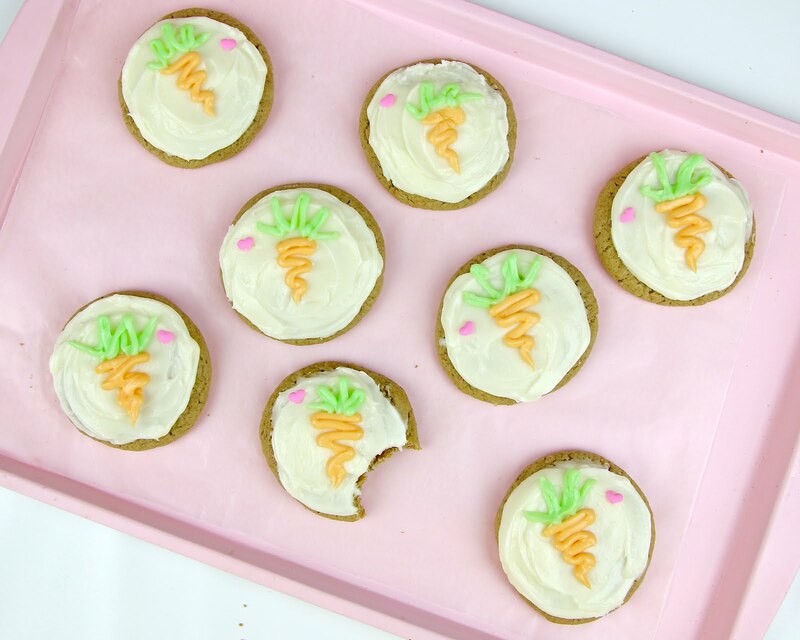 Snip off the tip of the bags and pipe a carrot design on top of each cookie, if desired.